The gentleman of whom we are now to speak, though he suffered for piracy, was a man of another turn of mind than any of whom we have hitherto had occasion to mention. Captain John Massey was of a family I need not dwell on, since he hath at present two brothers living who make a considerable figure in their respective professions. This unhappy person had a natural vivacity in his temper, which sometimes rose to such a height that his relations took it for a degree of madness. They, therefore, hoping by a compliance with his humours to bring him to a better sense of things, sent him into the army then in Flanders, under the command of the Duke of Marlborough; and there he assisted at the several sieges which were undertaken by the Confederate army after his arrival, viz., Mons, Douai, Bouchain, and several others. Yet though he was bold there, even to temerity, he never received so much as one wound through the whole course of the war, in which, after the siege of Lille, he commanded as a lieutenant, and that with great reputation. On his return into England he at first wholly addicted himself to a religious sober life, the several accidents of the war having disposed him to a more serious temper by making him plainly perceive the hand of Providence in protecting and destroying, according as its wisdom seeth fit. But after a short stay in London, he unhappily fell into the acquaintance of a lewd woman, who so besotted him that he really intended to marry her, if the regiment's going to Ireland had not prevented it. But there the case was not much mended, since Captain Massey gave too much way to the debaucheries generally practised in that nation. On his coming back from thence, by the recommendation of the Duke of Chandois, he was made by the Royal African Company a lieutenant colonel in their service, and an engineer for erecting a fort on the Coast of Africa. He promised himself great advantage and a very honourable support from this employment, but he and the soldiers under his command being very ill used by the person who commanded the ship in which he went over (being denied their proportion of provisions and in all other respects treated with much indignity) it made a great impression on Captain Massey's mind, who could not bear to see numbers of those poor creatures perish, not only without temporal necessities, but wanting also the assistance of a divine in their last moments. For the chaplain of the ship remained behind in the Maderas, on a foresight perhaps, of the miseries he should have suffered in the voyage. In this miserable condition were things when the Captain and his soldiers came into the River Gambia, where the designed fort was to be built. Here the water was so bad that the poor wretches, already in the most dreadful condition, were many of them deprived of life a few days after they were on shore. The Captain was excessively troubled at the sight of their misfortunes and too easily in hopes of relieving them gave way to the persuasion of a captain of a lighter vessel than his own, who arrived in that port, and persuaded him to turn pirate rather than let his men starve. After repeated solicitations, Captain Massey and his men went on board this ship, and having there tolerable good provisions, soon picked up their strength and took some very considerable prizes. At the plundering of these Massey was confused and amazed, not knowing well what to do, for though he was glad to see his men have meat, yet it gave him great trouble when he reflected on the methods by which they acquired it. In this disconsolate state his night was often so troublesome to him as his days, for, as he himself said, he seldom shut his eyes but he dreamt that he was sailing in a ship to the gallows, with several others round him. After a considerable space, the ship putting into the island of Jamaica for necessary supply of water and provision, he made his escape to the Governor, and gave him such information that he took several vessels thereby; but not being easy there, he desired leave of Sir Nicholas Laws to return home. Sir Nicholas gave him letters of recommendation, but notwithstanding those, he no sooner returned in England but he was apprehended and committed for piracy. Soon after which he was bailed; but the persons who became security growing uneasy, he surrendered in their discharge, soon after which he was tried, convicted and condemned. During the space he remained in prison under condemnation he behaved with so much gravity, piety and composedness, as surprised all who saw him, many of whom were inclined to think his case hard. No mercy was to be had and as he did not expect it, so false hopes never troubled his repose; but as death was to cut him off from the world, so he beforehand retired all his affections from thence and thought of nothing but that state whither he was going. In his passage to execution he pointed to the African House, said, "They have used me severely, but I pray God prosper and bless them in all their undertakings." Mr. Nicholson, of St. Sepulchre's, attended him in his last moments. Just before he died he read the following speech to the people. I beg of you to pray for my departing soul. I likewise pray God to forgive all the evidences that swore against me, as I do from my heart. I challenge all the world to say I ever did a dishonourable act or anything unlike a gentleman, but what might be common to all young fellows in this age. This was surely a rash action, but I did not designedly turn pirate. I am sorry for it, and I wish it were in my power to make amends to the Honourable African Company for what they have lost by my means. I likewise declare upon the word of a dying man that I never once thought of molesting his Grace the Duke of Chandois, although it has been maliciously reported that I always went with two loaded pistols to dispatch his Grace. As for the Duke, I was always, while living, devoted to his service, for his good offices done unto me, and I humbly beg Almighty God, that He would be pleased to pour down His blessings upon his good family. Good people, once more I beg of you to pray for my departing soul. I desire my dying words to be printed, as for the truth and sincerity of it, I sign them as a man departing this world. After he had pronounced these words, he signified it as his last request that neither his wife, nor any of his relations might see his body after it was in the coffin. 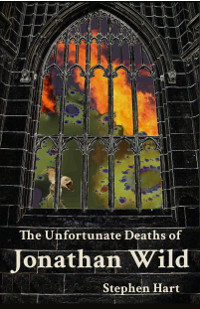 Then praying a few moments to himself he submitted to his fate, being at the time of his death twenty-eight years old. He suffered at high-water mark, Execution Dock, on the 26th of July, 1723, his unhappy death being universally pitied. This was Captain George Lowther, a redoubtable pirate. A more complete Story of Massey's adventures is given in Johnson's "History of the Pirates." In Leadenhall Street, along which he would pass on the way to Wapping.